Catch of Montreal w/ Diane Coffee | TONIGHT @ Mercy Lounge! If you haven’t seen of Montreal in Nashville lately, you really have no one to blame but yourself. Not only will tonight’s show be their second Mercy Lounge show just this year, but it will mark their 11th in the last 10 years in Music City. Seeing them on Cannery Row has become a yearly tradition, as they’ve played either Cannery Ballroom or Mercy Lounge six of the last seven calendar years. If you’ve somehow missed out on all of those – tonight, Oct. 21, is your chance to finally rectify that. This time touring in support of their latest effort Aureate Gloom, Kevin Barnes & co. will bring the same supreme weirdness and psychedelia to the stage as always, complete with plenty of props and costumes. Diane Coffee will open the 18+ show, which starts at 9 p.m. (doors at 8 p.m.) and will cost $15. You can buy tickets right here, or purchase them at the door. Read more about the bands after the jump! of Montreal were founded by Kevin Barnes in Athens, Georgia nearly 20 years ago. What began as a ’60s-inspired acoustic-ish psych project connected with the Elephant 6 Collective evolved over the years into an experimental, shape shifting psych band that you could describe as glam, funk, disco, folk, pop, or rock depending on the song. Though the touring lineup constantly changes, Kevin Barnes remains the lone constant member of the band and sole creative force behind the albums. Aureate Gloom is the band’s 13th studio album, and they show no signs of slowing down from their constant touring. They consistently throw one of the best parties live, so if they never stop touring that’s alright with us. Diane Coffee is the nom de plume of Shaun Fleming, known not only as the drummer for Foxygen, but also as a former child voice actor for Disney shows like Kim Possible. His music is inspired by ’60s pop and gospel music, giving it an uplifting and triumphant feel. Coffee has released two albums and been featured on Run the Jewels 2 track “Crown”. 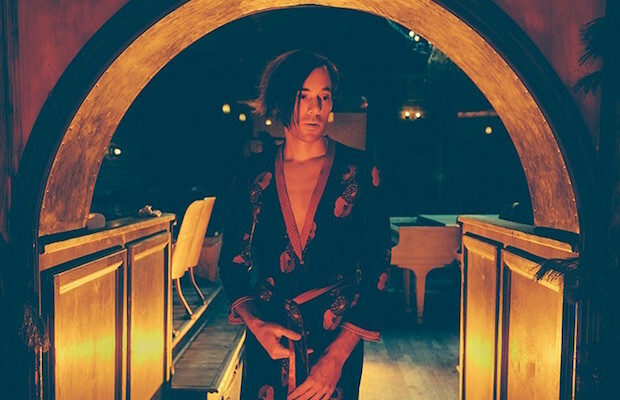 Of Montreal and Diane Coffee will perform tonight, Oct. 21 at Mercy Lounge. The show is 18+, begins at 9 p.m. (doors at 8 p.m.), and tickets are available for $15. William Tyler Added to Jan. 28 Jack White Show at Bridgestone Arena; Tix Still Available!